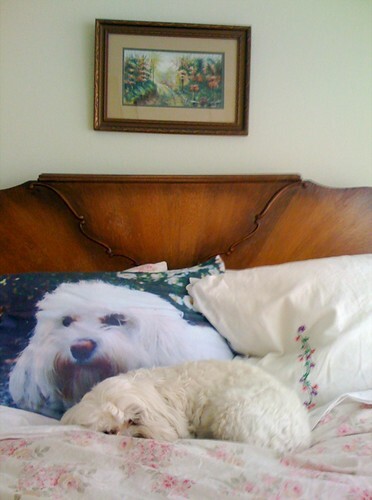 Can you tell which one is the dog and which one is the pillow? This photo should be titled AdRi's favorite Christmas gift. That dog is one spoiled rotten, cute mess. Wink is a bed hog! BTW: I didn't know that Wink ever slept. She's such an energy dog! I love that idea for a pillow case. Did you make it or order it someplace?